2. CHAINSAW CARVINGS - by MICHELE: Beware of the Dog sign - carved by my wife Michele. 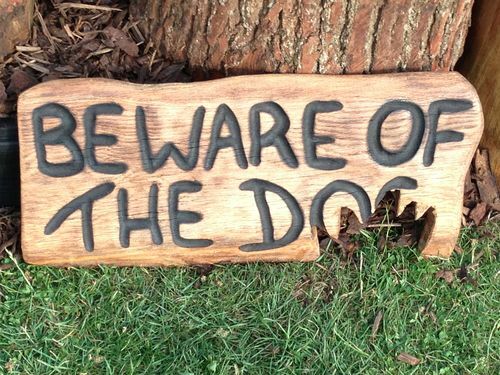 Beware of the Dog sign - carved by my wife Michele. This sign has been created from oak - the chewed bit of the word "dog" is deliberate!